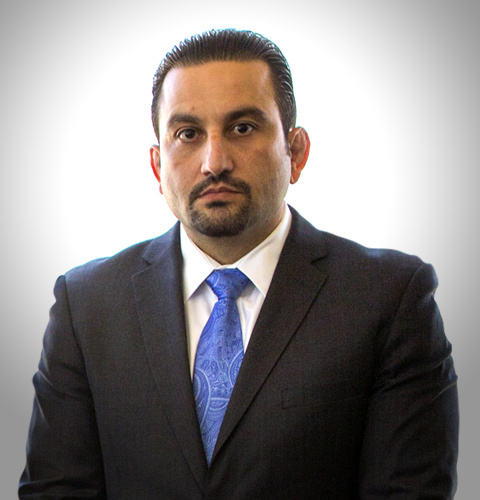 Mr. Naderi was distinguished as a “Rising Star” by Southern California Super Lawyers Magazine (2007, 2008, 2009, 2010, 2011, 2012, 2013, 2014, 2015 and 2016), and is a member of the Los Angeles Criminal Courts Bar (Board of Directors), National Association of Criminal Defense Lawyers, California Attorneys for Criminal Justice, NAACP, ACLU, California DUI Lawyers Association, Los Angeles County Public Defenders Association, Beverly Hills Bar Association and San Fernando Valley Bar Association. I am a criminal defense attorney that takes pride in what I do. Unfortunately, the practice of criminal defense has become a contest that is more about securing retainers and not about serving the client. I have had clients in my office tell me that a number of other lawyers have promised them dismissals and reduced charges. I have been asked to promise the same. I will refuse every time. It is a lie to the client and it is a dangerous lie. A lie that can end up with the client in state prison. If you are a potential client and are planning on meeting with several attorneys, I commend you. Take the time, get to know the attorney, feel out the personality, and look for promises and guarantees. If promises and guarantees are made, get up, thank the attorney for his or her time, ask for parking validation, and WALK OUT. There is no single attorney that can guarantee or promise the outcome on a case. We are not psychic. We can advise you on penalties, defenses, your rights, and what we think about the case. And what we think about the case depends on the type of case, and what courthouse it is prosecuted in. If you are a potential client, and your attorney meeting is primarily about whether you have money, own property, or can get a loan on your home, WALK OUT. The meeting is about the case, not about your liquidity and assets. PUBLIC DEFENDERS– If your lawyer starts bad mouthing public defenders, or using the term public pretenders, WALK OUT. Contrary to what most people think, being a public defender does not equate to being a bad attorney. This is a fallacy. I have learned a lot of what I know from public defenders and am thankful to the ones that have taken the time to tell me what they think. There are good and bad ones. Some public defenders are lazy and hate their jobs. But guess what? same applies to private attorneys, a lot of them! There is an advantage that private attorneys have over public defenders, and that is time. Also, with a public defender, you cannot choose your representation, but you can with a private attorney. PRICE– If you are searching for attorneys, and intend on going with the cheapest, save your money and stay with the public defender. The cost of an attorney should not be the determining factor in your choice of representation. 1. I will work hard on your case. 2. You will have my cell phone. I try to return calls within a few hours. If it is an urgent issue, I will return your call as soon as I can. 3. I will always be upfront and straightforward. If you are walking out of court with me, you will know, if you are going to prison, you will know. 4. I have a great reputation with prosecutors and judges. That is because I do not play games with them, and I will not jeopardize my integrity. Prosecutors and judges have been around. They know the attorneys that are solid and honest, and they also know the ones that are dishonest and garbage. They will treat them accordingly. If you have an attorney that is dishonest and lacks integrity, you are harmed, not your attorney. 5. Ask the attorneys you meet with about other attorneys. A confident attorney will not be afraid to comment on the good work of another attorney. I have had potential clients ask me about an attorney, and I have responded with “You don’t need to be here, you are in good hands if you have met with that attorney”. Call me to speak about your case. We can meet and discuss your case and the different strategies that may apply. I look forward to helping you out.